Revamp commercial lighting in contemporary fashion with the chic 7" Domed Shade and Gooseneck Arm combination. This all-aluminum outdoor light fixture features a sturdy double-mount gooseneck arm arching up to a modern deep bowl shade. And rust resistant powder coated paint finishes come in 25 attractive colors for easy matching to project plans (see drop-down menus for pricing). The Domed Shade Gooseneck is an effective sign light, and also available to order with swivel couplings for an adjustable light stream. Order incandescent gooseneck lighting online, or call to upgrade lamping; HID, compact fluorescent and LED options available. 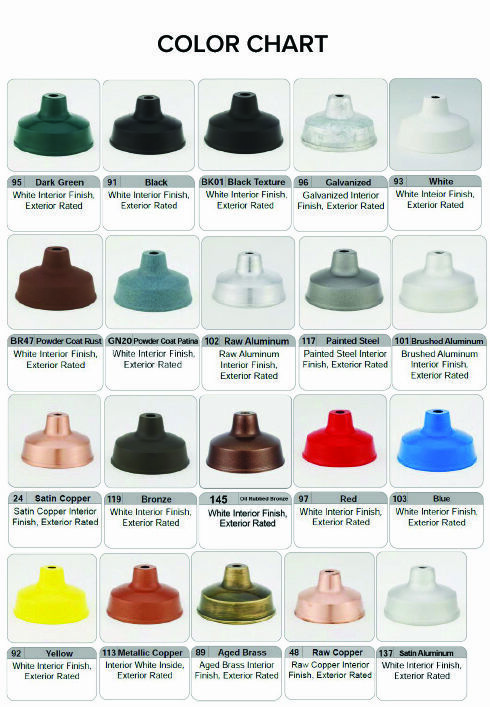 Standard incandescent goosenecks are rated for a 100W maximum bulb and mount to a standard recessed 4" round or octagon j-box. For custom gooseneck arms, color-matching, accessories and lamping upgrades, please call toll free for a price quote.